Elgon Williams, author of Science Fiction, Fantasy and Mystery with Pandamoon Publishing currently lives in Orlando, Florida. His publications include Fried Windows (In a Light White Sauce) and Becoming Thuperman (Thuperman Trilogy Book 1) and the soon to be released Homer Underby (Thuperman Trilogy Book 2) and Dammerwald (Wolfcats I). Williams was born in Springfield, Ohio and grew up on a farm in southeastern Clark County near the town of South Charleston. He attended the Southeastern Local school district and was one of the first students to graduate from Miami View Elementary School. The following Fall he moved to Springfield and attended Shawnee Senior High School where he graduated in 1974. Old train depot in South Charleston, OH. Served in the USAF from ’83 to ’87. In the Fall of ’74 he began his studies at Purdue University, where he received a degree in 1978. The following summer he relocated to Texas where he attended The University of Texas at Austin, receiving a degree in 1981. While in the United Sates Air Force he attended the Defense Language Institute, Presidio of Monterrey, California, where he studied Chinese Mandarin. He has spent most of his adult life working in retail management. Williams is divorced with three adult children, a newborn grandson and one grandpup. Currently, he lives in California. Rob, Amanda, Sarah, and their mother Jina. Rob with his wife, Laia, who is holding Jackson, “the grandson”. Updates on new releases from all Pandamoon Publishing authors. 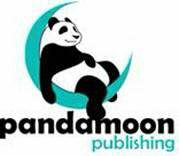 Receive Pandamoon Publishing News Letter announcing author events. Just click on the word “FREE” above to register.